Li Yan Chen (seen above on left) is an Operations Officer at the International Finance Corporation, a member of the World Bank Group, and focuses on implementing an effective governance framework for a global advisory portfolio of 800+ projects valued at more than $1.5 billion. She has over 15 years of professional work experience in the areas of investment banking, public finance, business operations, corporate strategy, and fundraising. "I'm extremely honored by the opportunity to be part of this remarkable organization. My family was part of the immigrant wave that settled in New York City’s Chinatown in the 1990s, and we were direct beneficiaries of CPC's services. I am a strong believer in the power of giving back and in driving positive changes to level the playing field for underserved communities, and look forward to contributing towards CPC's mission,” said Li Yan. Michael Lee (seen above in middle) is the Managing Director of Corporate Development at the New York Institute of Finance. He has over 14 years of professional experience in leadership roles in nonprofit management as well as fundraising. “Joining the CPC board is a tremendous honor. It allows me to continue my personal mission of helping Asian American families in NYC as well as carry on a long-time legacy in my family of being part of this great organization. I look forward to applying my experiences in the nonprofit sector and in the community to contribute to the Board of Directors and support the Leadership Team and staff,” said Michael. Flora Si (seen above on right) is a Certified Public Accountant with her own tax and accounting practice in Manhattan’s Chinatown. She has over 30 years of experience in accounting and is a member of the New York State Society of Certified Public Accountants and the Chinese American Society of Certified Public Accountants. Flora is the Vice-Chair of the CPC Board of Directors where she has served since 2000. “It is an honor to be elected as the new Board Chair of CPCHAP. I look forward to leading this premier home care agency in its mission and vision. I’m very excited to lead a wonderful team of dedicated professionals,” said Flora. 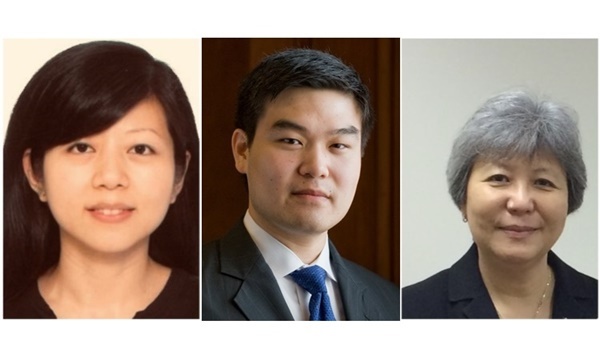 Li Yan, Michael, and Flora are accomplished business and community leaders who are bringing their talents and networks to help CPC implement Advancing Our CommUNITY, its organization-wide strategy to promote the social and economic empowerment of Chinese American, immigrant, and low-income communities.